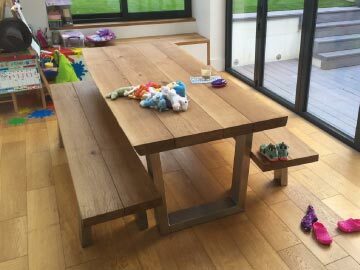 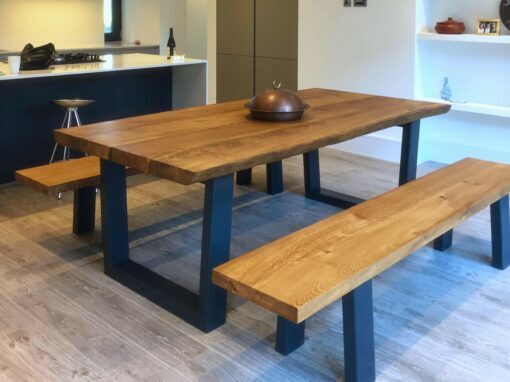 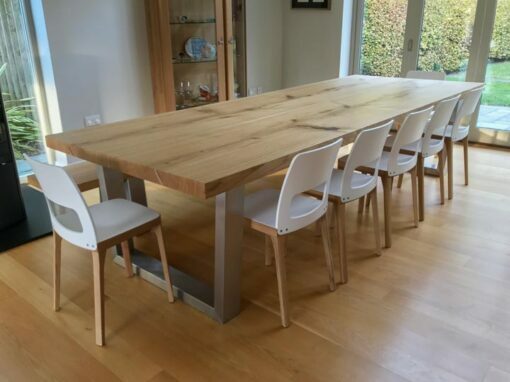 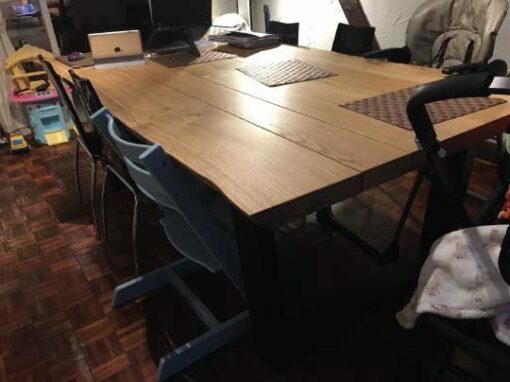 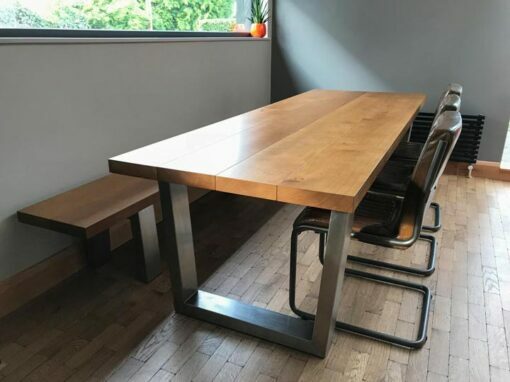 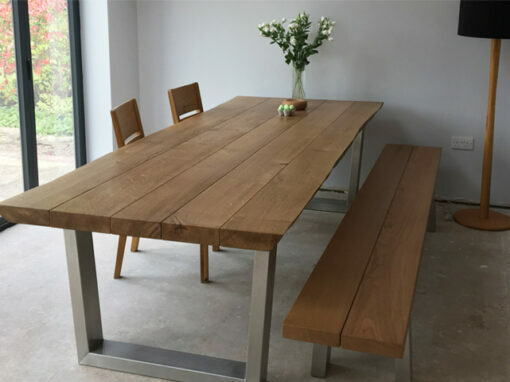 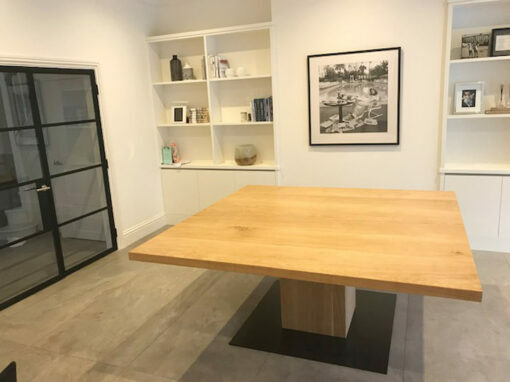 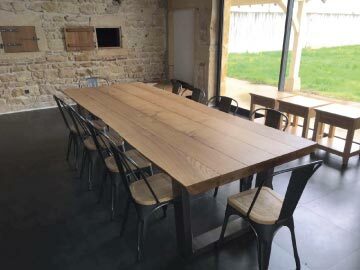 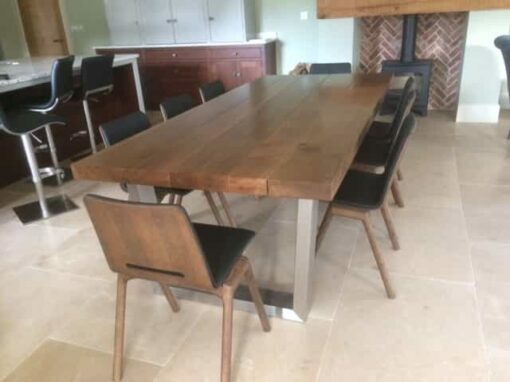 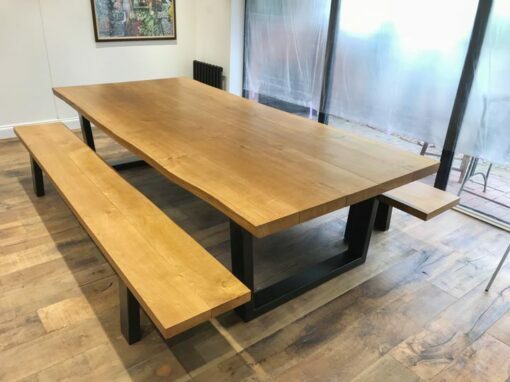 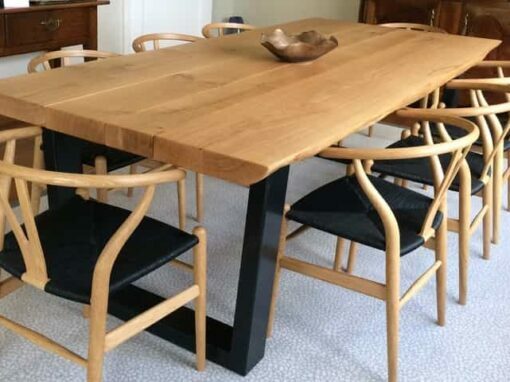 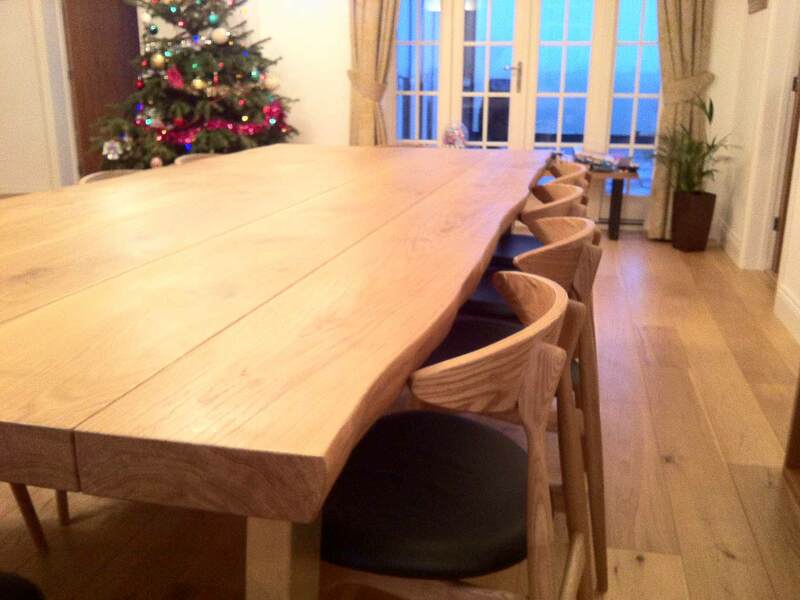 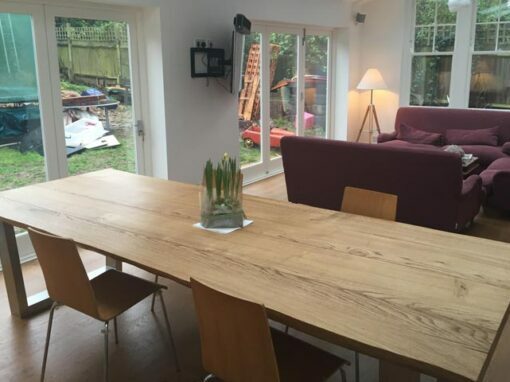 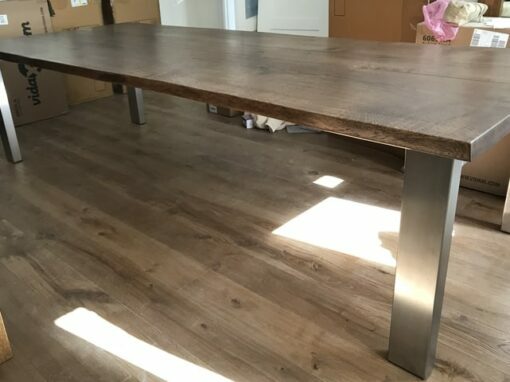 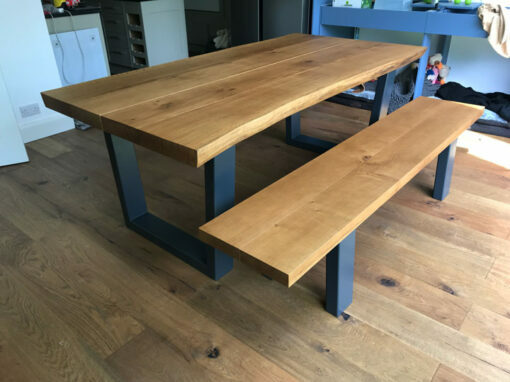 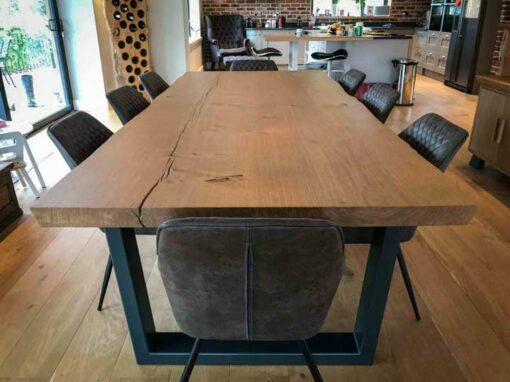 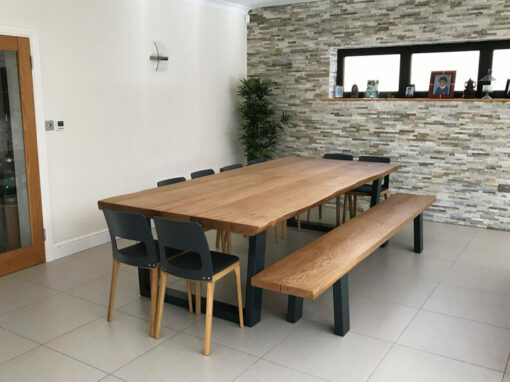 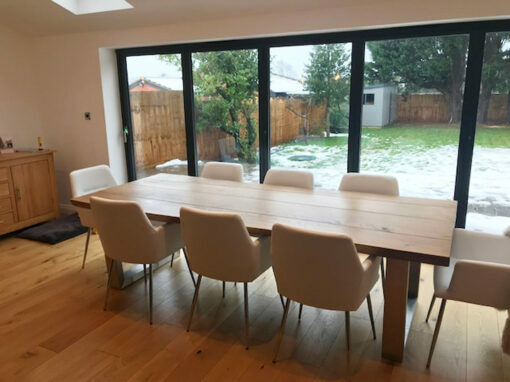 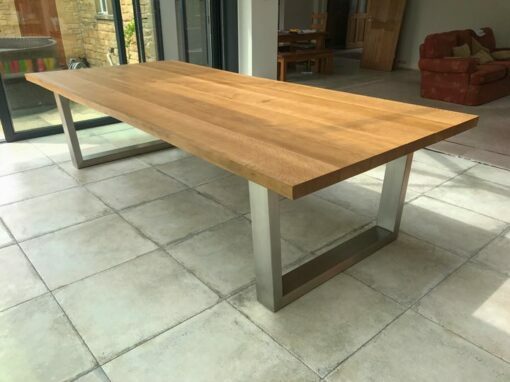 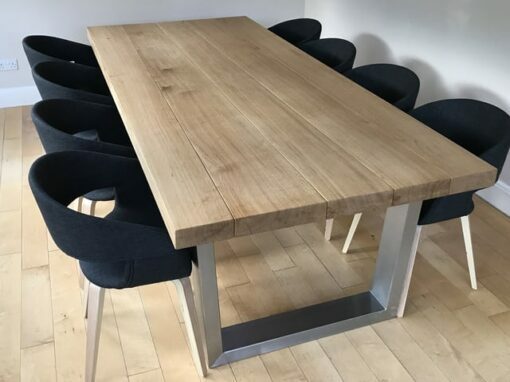 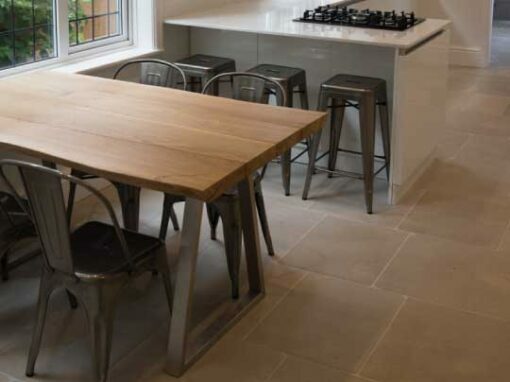 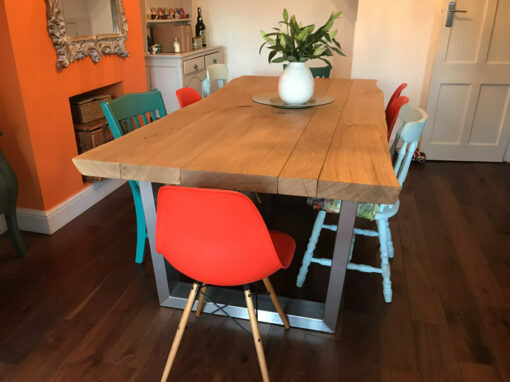 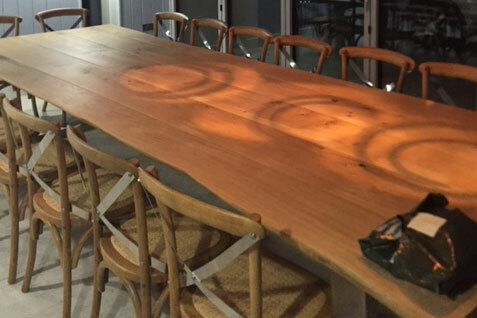 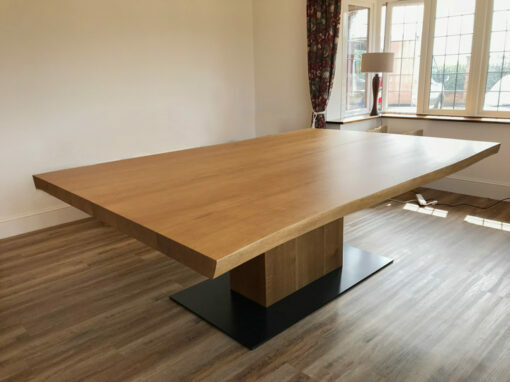 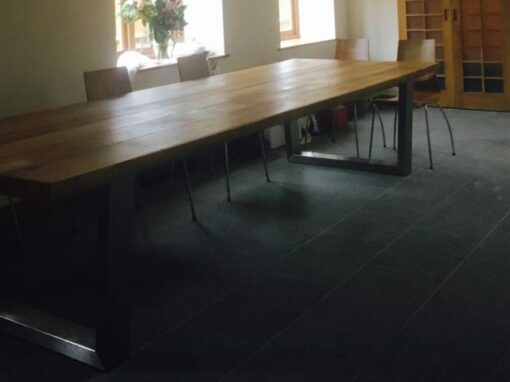 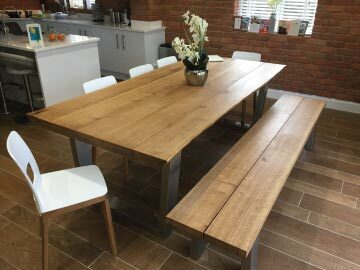 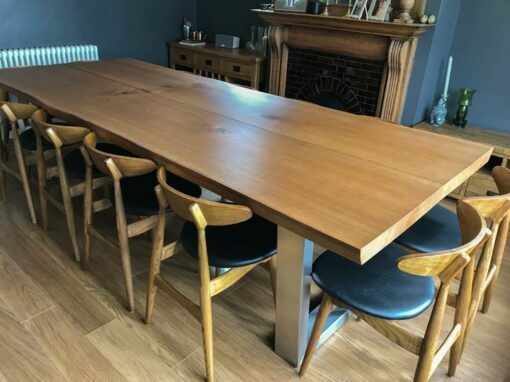 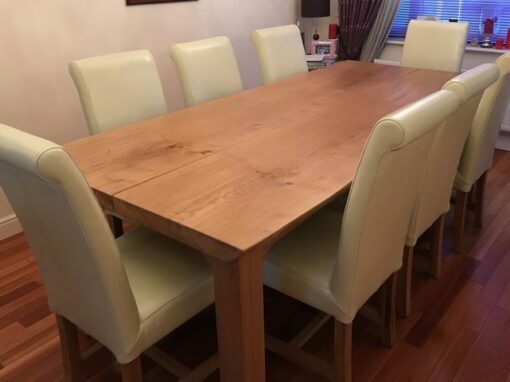 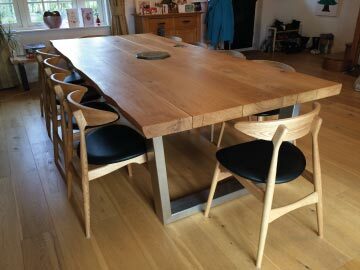 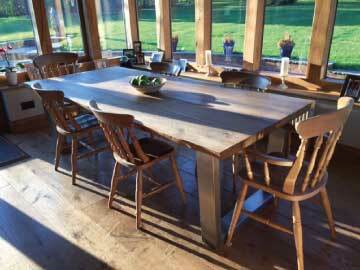 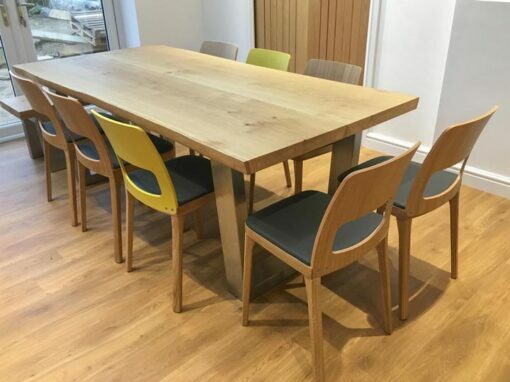 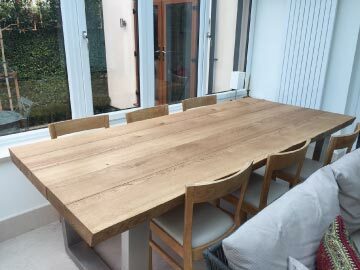 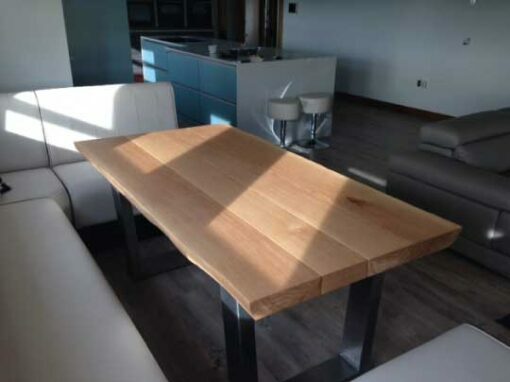 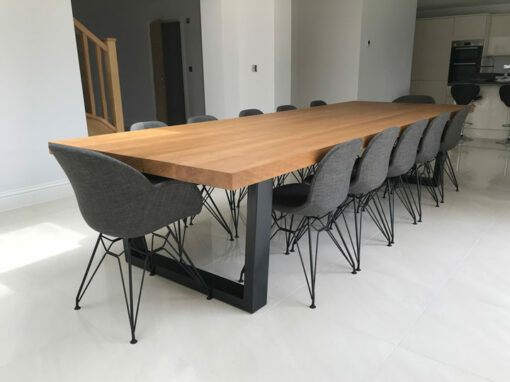 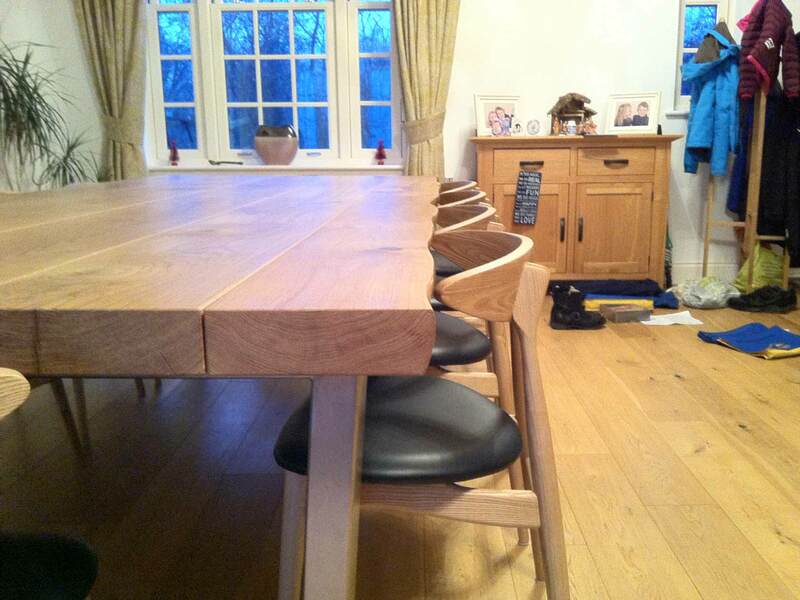 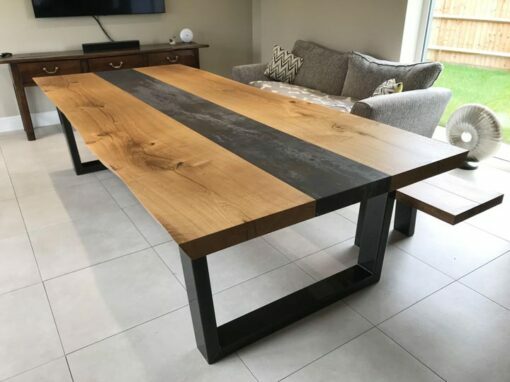 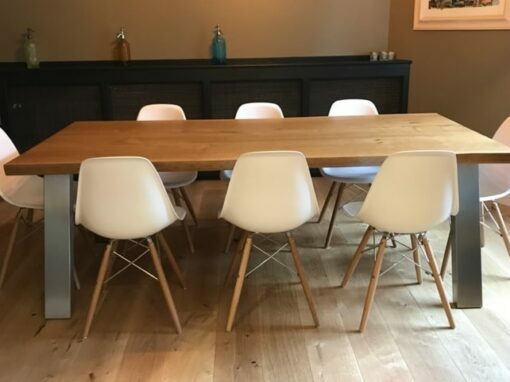 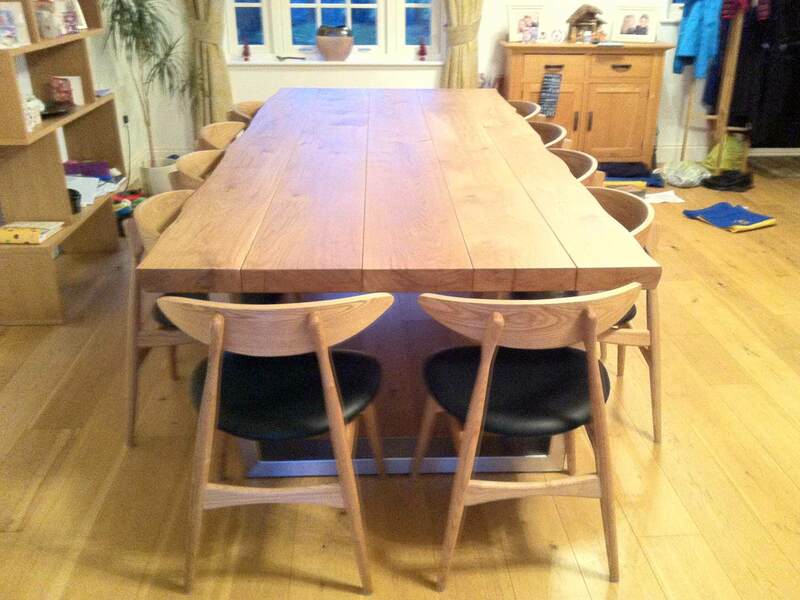 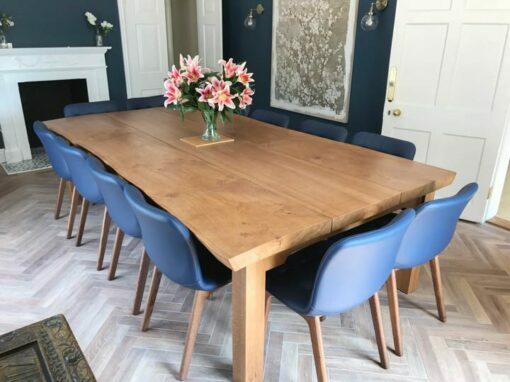 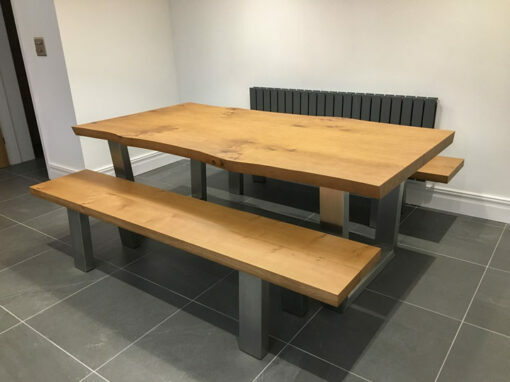 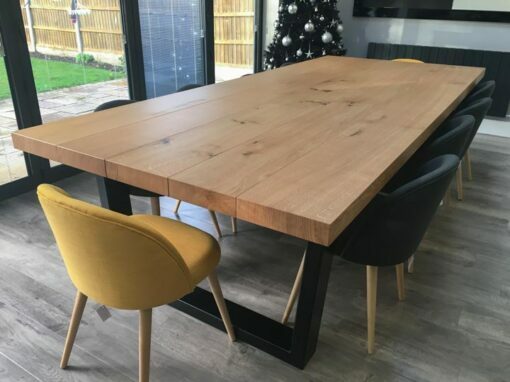 We purchased a large dining room table (metal legs, oak top – sorry I can’t remember it’s name!) 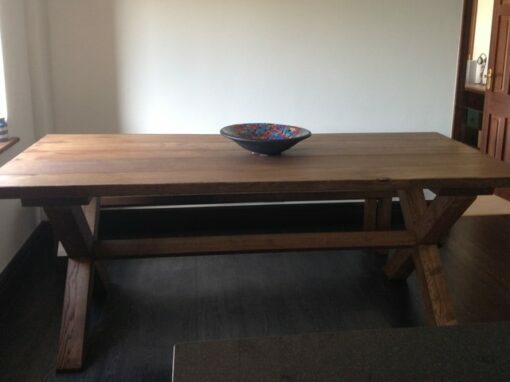 from you and are delighted with it. 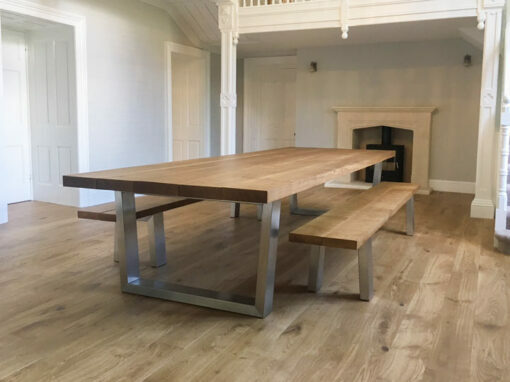 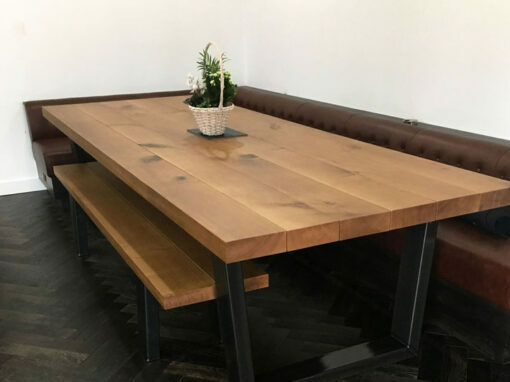 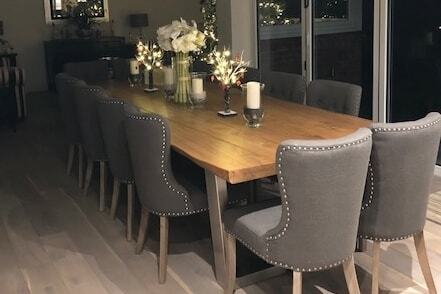 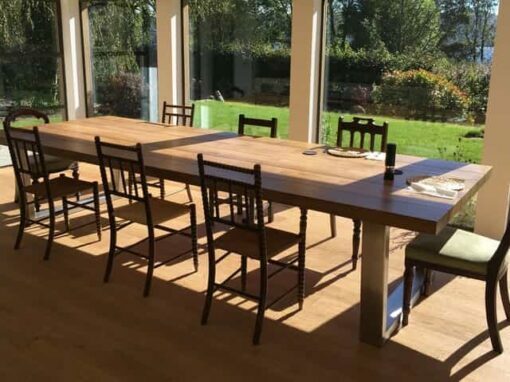 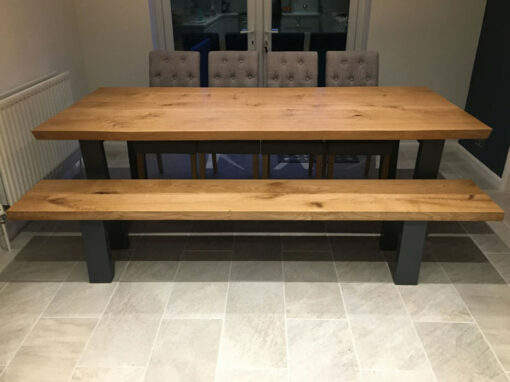 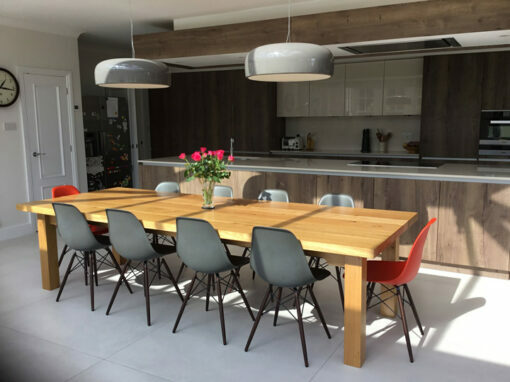 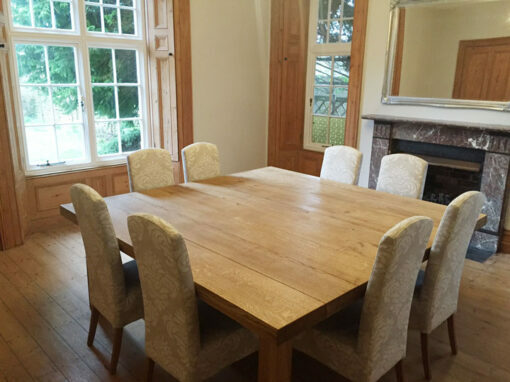 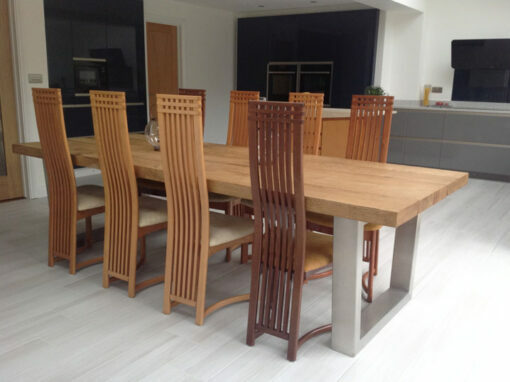 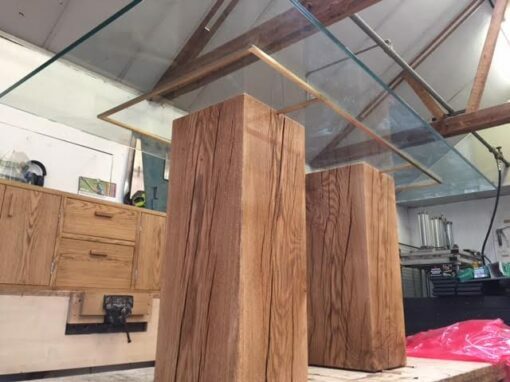 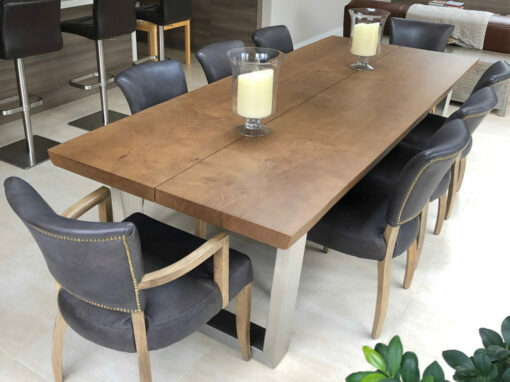 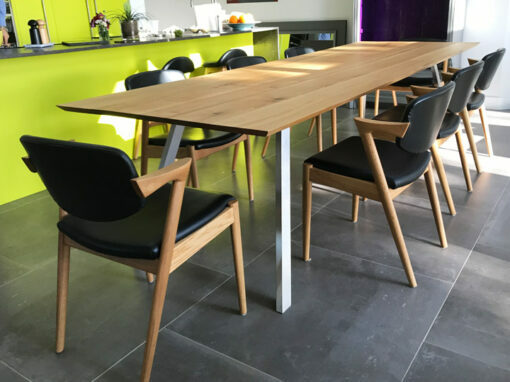 It’s the centrepiece of a large dining room, great for large gatherings and gets so many admiring comments from our visitors. 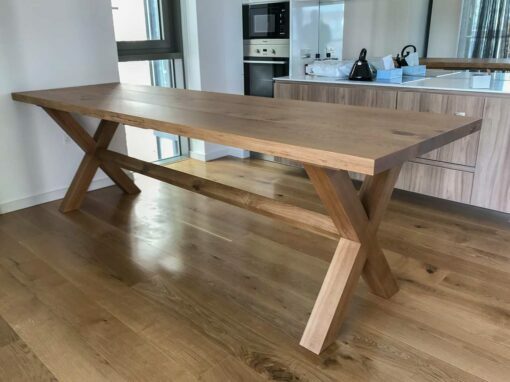 The quality and craftsmanship are clear to see. 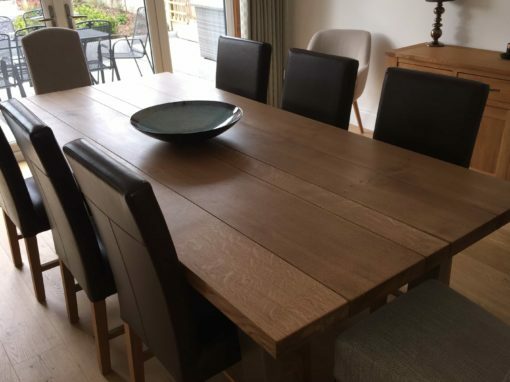 The service we received from ordering to delivery was personal and professional. 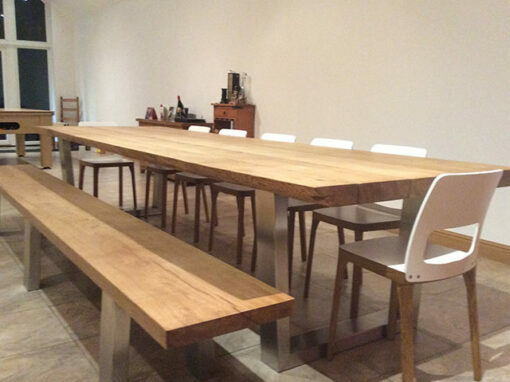 Thank you again, we wouldn’t hesitate to buy from you again and often recommend you to friends.